The fall months are a time of transition and change. If you have any concerns about your roof, there’s no better time to take care of it than during the fall. If you have roof worries of any type you shouldn’t delay taking action. We can send someone out to right away with a quick estimate. Don’t make a mistake and wait. Heat has the ability to rapidly make its way out of roofs that require repair work. Roofs that have problems aren’t exactly the best at heat conservation. If you don’t want to have to compensate for heat loss during the cooler months by having to turn your thermostat up, prompt repair service can save you money this season. Fall roof repair can keep many inconveniences out of your life. 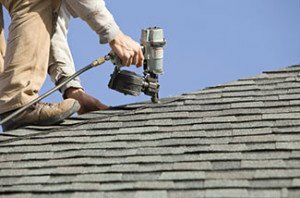 Fall roof replacement can be just as helpful. 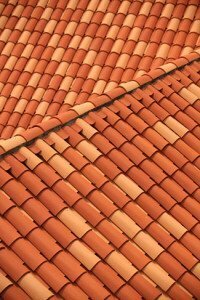 If your roofing system is particularly old and damaged, it may be smart to consider full replacement rather than repair service. It can be helpful to be aware of things that denote roofs that require complete replacement. Do you see conspicuous buckling or curling shingles anywhere on your roof? Are there any shingles that are missing? Look inside of your gutters. Do you see shingle granules gathering inside of them? Don’t forget to take the age of your roof into consideration. Shingle roofs generally stay in fine working order for 20 to 25 years or so. If your shingle roof is older than that, a roof replacement may be wise. Don’t delay addressing your roof problems. Being proactive is best. JBS Roofing can provide you with the most professional Phoenix roof repair or replacement service around. Call us for a free quote today!